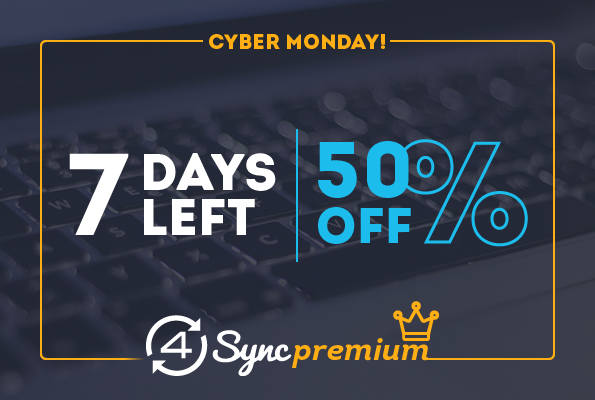 Cyber Monday Deal: 50% OFF any 4Sync Premium! save 50% on any 4Sync Premium purchase*! on the 4Sync Premium purchase page. *Cyber Monday discount code is only valid on 28 November, 2016!